The Pro Session is suited to all types of waves and loves to carve hard, fast turns. 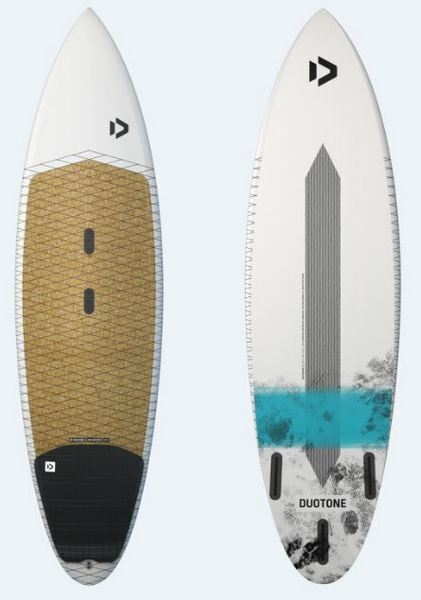 It excels in larger, hollow and more powerful waves, the grip and drives off the front foot will be sure to impress you, even in the most challenging of conditions. It’s a fantastic board for the strapped or strapless rider looking for exceptional carving abilities. The Pro Session will inspire confidence in every bottom turn, just set the rail and look for the critical section to hit. A subtle grab rail has been added for this year to improve control during strapless tricks. The volume distribution has also been optimized in critical areas to aid handling, and it features a double concave deck profile. In short, the Pro Session is a supreme carving machine! 5’11” x 18” x 2 ⅜"
VACUUM EPOXY CUSTOM - The best mix for a pure surf feel, but still robust and durable enough to take the impacts a kitesurf board needs to take.